Diane Kress. Medical Nutrition Therapist. Diane Kress is the author of the New York Times Bestseller, “The Metabolism Miracle, Second Edition as well as the best selling books; The Diabetes Miracle, The Metabolism Miracle Cookbook, and the Metabolism Miracle Holiday Book. 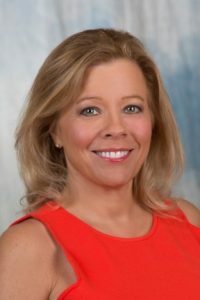 She worked as a Registered Dietitian and Certified Diabetes Educator for over 36 years.. She currently has a private practice in medical nutrition therapy in Naples, FL and does telephone counselling arranged through http://www.dianekress.com. Diane Kress promises: “This podcast contains exciting, scientifically based, NEW INFORMATION for those suffering with overweight/obesity, hypertension, elevated cholesterol, pre-diabetes, type 2 diabetes, certain cancers (breast, colon, skin, prostate), fibromyalgia, PCOS, metabolic syndrome, insulin resistance, and more. As well as major weight and health improvements, you will increase your energy, focus, concentration and decrease inflammation, short fuse, and melancholy. In as little as 8 weeks, most people improved labwork and blood pressure as well as the decrease or elimination of medications.